Home / News / Video: Keiynan Lonsdale Talks Wally West! Video: Keiynan Lonsdale Talks Wally West! Keiynan Lonsdale is going to be playing Wally West in Season 2 of The Flash… and Access Hollywood caught up with the actor to find out a little bit more about what it’s like to join the show. For starters, Access Hollywood asked if Wally West is Iris’ nephew as he was in the comics, or if they’re changing things around a bit. “You have to find out when you watch it,” he teases. 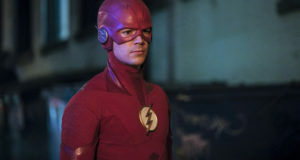 He isn’t sure exactly how it will play out, but he is aware of Wally’s trajectory in the comics. “Hopefully, eventually he’ll become Kid Flash,” he enthuses. “I was a massive fan of the first season,” he says. He starts filming possibly as soon as October, and he says he’s looking forward to the “amazing experience.” So far, the only person in the cast he’s met is Candice Patton, who he auditioned with. 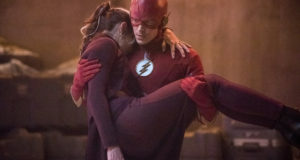 Previous: 2015 FlashTVNews Awards: Pick Your Favorite Director For The Flash Season 1! Next: More New Flash Season 2 Promo Art!